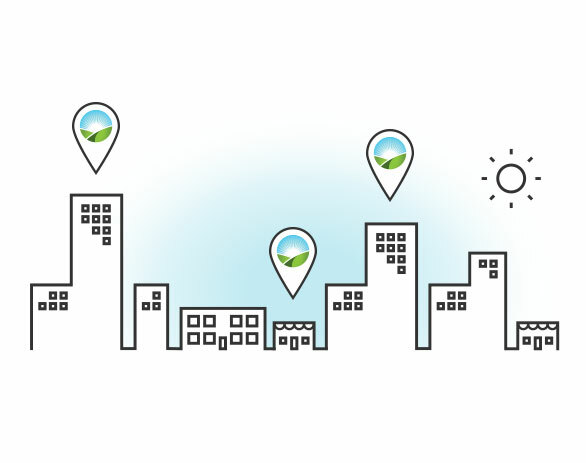 Based on the recent explosion of Electric Vehicle sales, the demand for EV charging destinations is higher than ever before. Electric Vehicle drivers represent a vast market of untapped revenue potential for your business. Stand out from your competition, attract new clientele, boost revenue, and become a sustainability leader. Workplace charging offers many benefits to employers, employees, and (of course) the environment. 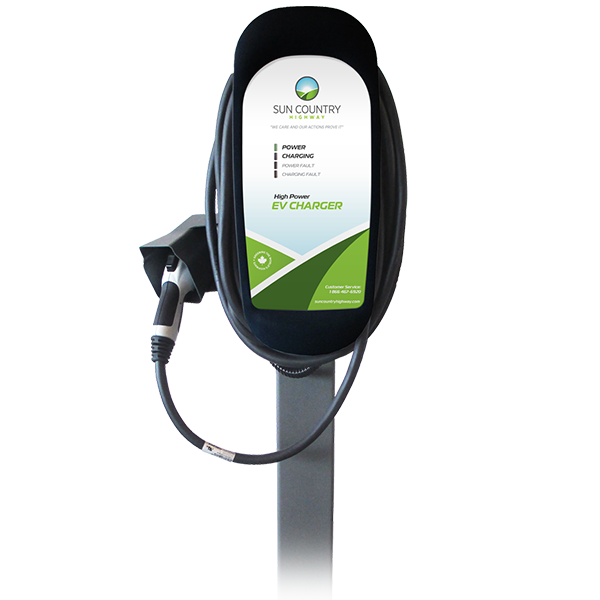 Installing EV charging stations at your place of work can help employees save money, demonstrates environmental leadership, help attract high-quality employees, and increase employee job satisfaction. 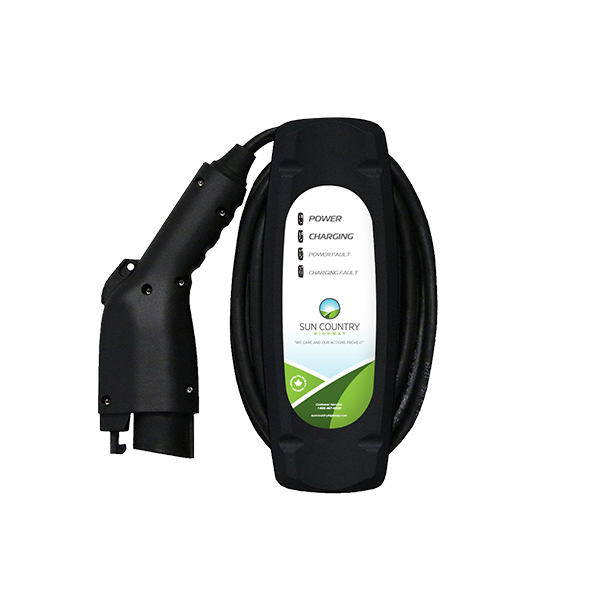 Powerful and reliable Level II charging with 32A, 7.7kW of charging power and a 3 year warranty. ChargeGuard offers key-based access control so your charger is reserved for your customers and staff. 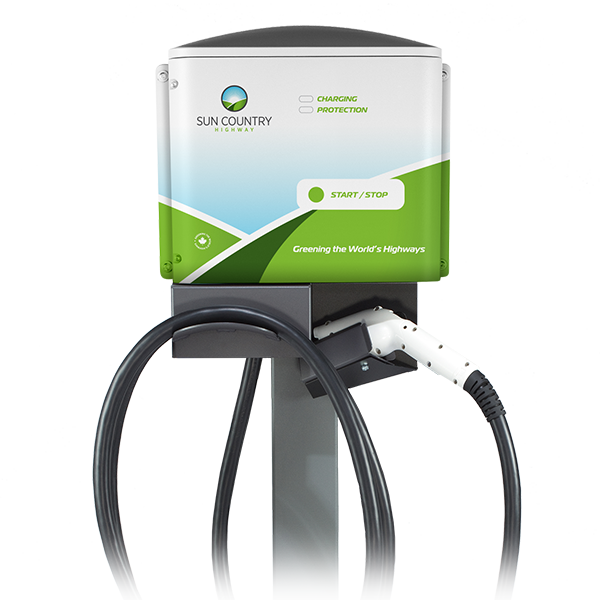 The world’s smallest high-power charging station, providing 20A, 4.8kW of charging power in a durable and compact package. Great solution if power availability is limited. Sun Country’s friendly and knowledgeable staff are here to help you. Our experienced team offers expert consultation. Don’t hesitate to Contact Us.